We have now helped over 150 people (with I suspect about 50% success..which isn't bad) One thing that become clear is the enormous variation shown by this condition which appears to be closely related to having had chicken pox (Herpes zoster) as a child). People who have had little intervention (dental or surgical) seem to be the best candidates for success. 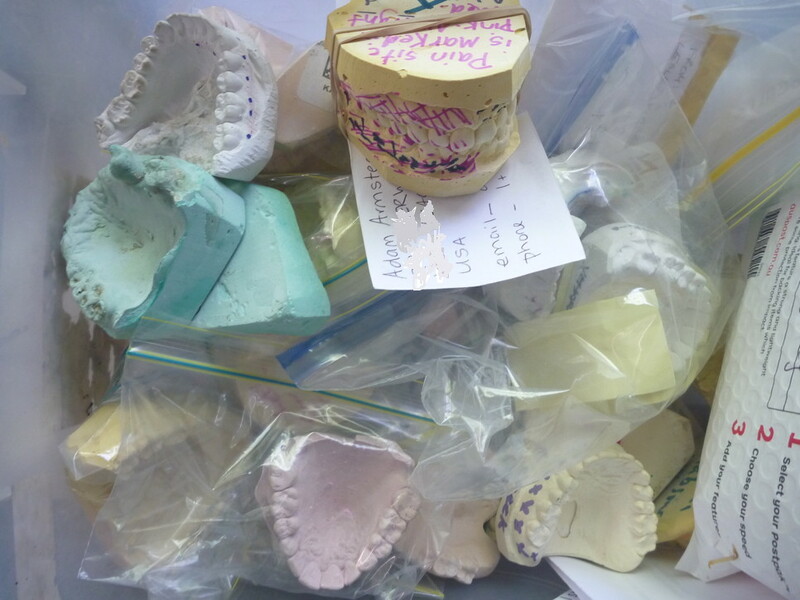 Here's our "Fang Drawer" - dental casts from people for whom we've made the critical mouthguards. As part of a control program for Singapore Daisy Sphagneticola (Wedelia) triblobata, using metsulfuron-methyl herbicide, in the lowland tropical environments of the Daintree, we needed to assess the impact of the herbicide on native vegetation, as the extensive nature of the weed invasion prevented selective application. We assessed the impact on 80 native species exposed to the herbicide of which 62 were resistant, and 18 were killed after a spray application that would reliably kill the Singapore daisy plants. 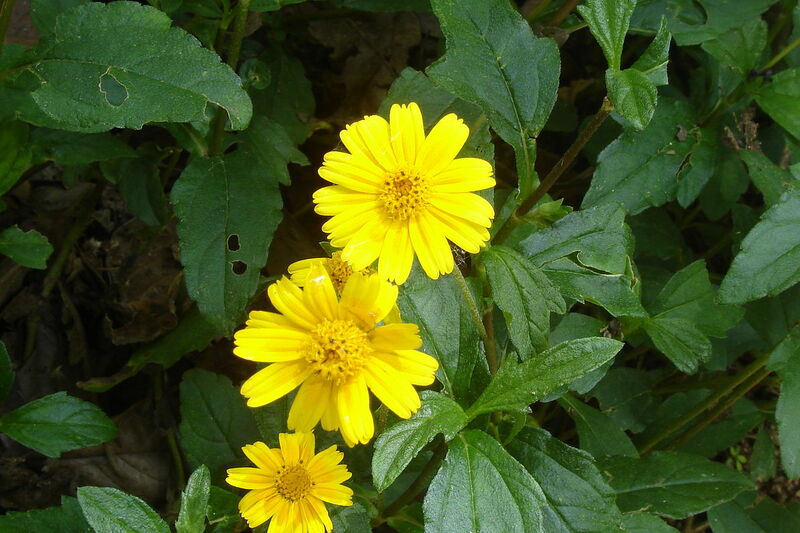 The native sensitive species by and large were soft leaved pioneer species that could readily re-colonize the area once the Singapore daisy had been removed. This resistance permits a far easier approach to control, as the extreme care that is usually required to avoid spraying native seedlings, can be greatly relaxed. Additionally metsulfuron-methyl is proving to be a highly effective herbicide for controlling an unusually wide variety of other environmental weeds, including Lantana and Syngonium, in the region. Click here to read the whole article. Singapore daisy on the Cape Tribulation Coast beaches. By 2018, we have managed to eliminate Singapore daisy from over 8 Km of beaches in the region. Clear beaches: the orange lines indicate the major beaches that we have been able to clear of Singapore Daisy". 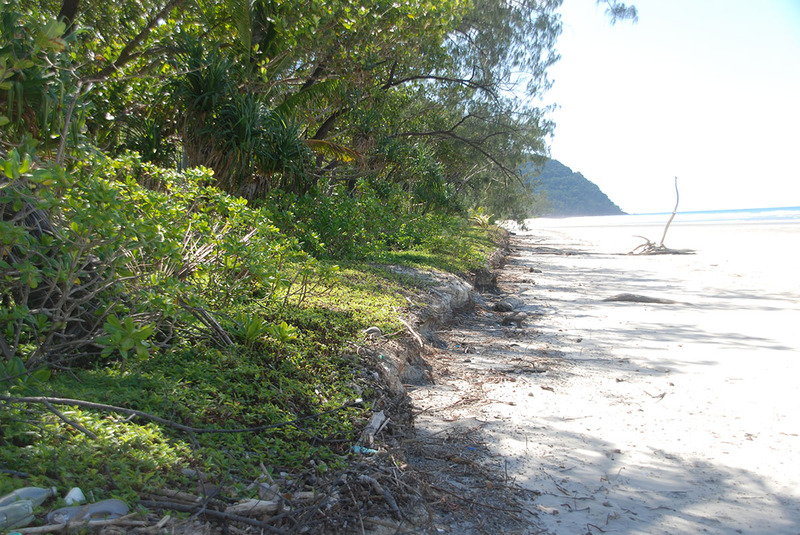 When we started, the beaches looked like this or worse (now they are clear). These infestations have been here for over 30 years. 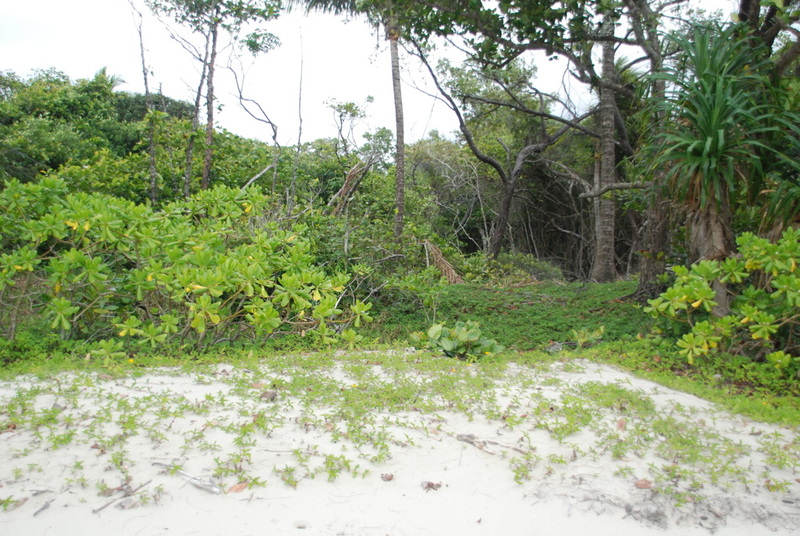 In some areas it was knee deep and was suppressing regeneration of native littoral species, severely impacting the natural littoral forest. The mat of dead Singapore daisy provides a good mulch for natural regeneration (The green patch near the stakes was a reference patch)	It will require yearly "spotting" forays with a backpack spray, but luckily Singapore daisy produces few seeds. However there are up-stream infestations - and these are harder to control, given the increasing numbers of absentee landlords here (who don't want anyone on their properties). 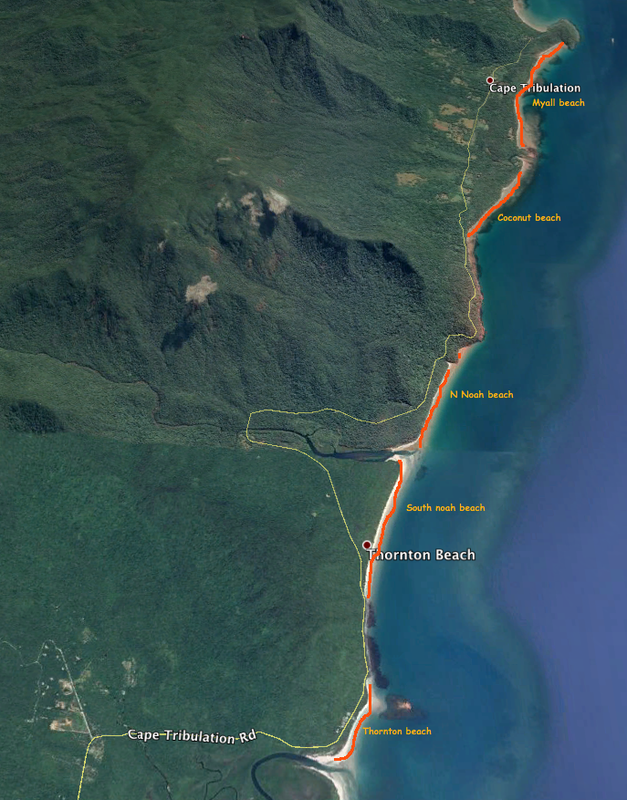 We have also managed to eliminate almost all the the roadside infestations between Cape Trib and the ferry. What's amazing is how little damage occurs to the environment by using this herbicide. 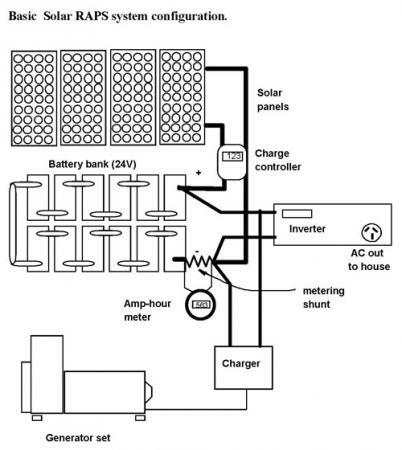 Lead acid batteries are the storage mainstay of renewable energy systems. The technology has been in existence for over a century, and except in details, is essentially unchanged. Basically it consists of two plates of lead bathed in dilute sulphuric acid. Charging (passing an electric current between the plates) converts the plate on one side to lead dioxide and the other plate to spongy lead. Discharging converts both plates to lead sulphate, and in the process generates an electric current in an external circuit. This cycle can be repeated for hundreds and in some cases thousands of times before there is no more lead sulphate available to be converted, at which time the battery is totally useless. De-sulphation technology for lead-acid batteries has been in existence for some 15 years, and is based on the concept that a brief high-current pulse applied to a lead acid storage cell is able to prevent the accretion of lead sulphate crystals (produced as part of the discharge process) into large crystals or groups of crystals that become disconnected from the active electrode of the cell, and hence no longer contribute to the storage capacity of the battery. How this occurs appears to be highly speculative although it is postulated that the pulse, if strong enough and with a fast enough onset time, will cause the molecular bonds of the lead sulphate (PbSO4) to resonate, in a manner analogous to a guitar string being plucked, and this reduces the tendency to produce larger crystals. Whatever the mechanism, these electron micrographs of dismantled cell plates which have been operated with a de-sulphator, show a substantially smaller crystal grain size than those operated without one. Thus the anticipated effect of the de-sulphator on battery capacity would be that the reduction in crystal size and improvement in the resultant crystal connectivity to the active plates, should be reflected in changes (increase) in battery capacity. Lead acid battery chemistry is in fact exceedingly complex and it is only in the last 10 or so years that a fuller understanding of the conditions involved in charging and discharging are transforming our understanding of their capabilities and limitations. Each battery type has a set of unique attributes that can have a major effect on its performance under different operating conditions. This variability in battery type and chemistry greatly complicates studies such as this one, but as de-sulphator technology is really only beginning to be investigated, studies such as this one help establish the parameters for their appropriate application. We have now managed to get over well 1000 A pulses - pretty impressive - we've had several interns (from UK and China) work on this - but we really need someone who can take it to commercial production.. Despite the push for lithium - AGM lead acid battery systems are still the best - and there is no shortage of lead - but there is a shortage of lithium (and the impacts of mining)! With care Lead acid batteries can last well over 15 years. Click here to read the whole article. Phenology of Ficus variegata in a Seasonal Wet Tropical Forest at Cape Tribulation, Australia, by Hugh Spencer, George Weiblen and Brigitta Flick, 1996 Blackwell Publishing. 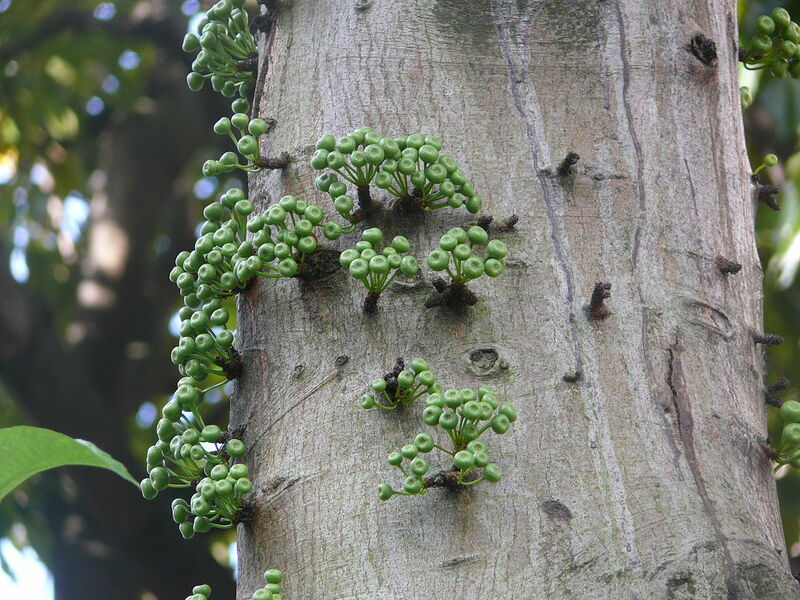 We studied the phenology of 198 mature trees of the dioecious fig Ficus variegata Blume (Moraceae) in a seasonally wet tropical rain forest at Cape Tribulation, Australia, from March 1988 to February 1993. Leaf production was highly seasonal and correlated with rainfall. Trees were annually deciduous, with a pronounced leaf drop and a pulse of new growth during the August-September drought. At the population level, figs were produced continually throughout the study but there were pronounced annual cycles in fig abundance. Figs were least abundant during the early dry period (June-September) and most abundant from the late dry season (October-November) through the wet season (December-April). The annual peak in reproduction actually reflected two staggered peaks arising from gender differences in fig phenology. 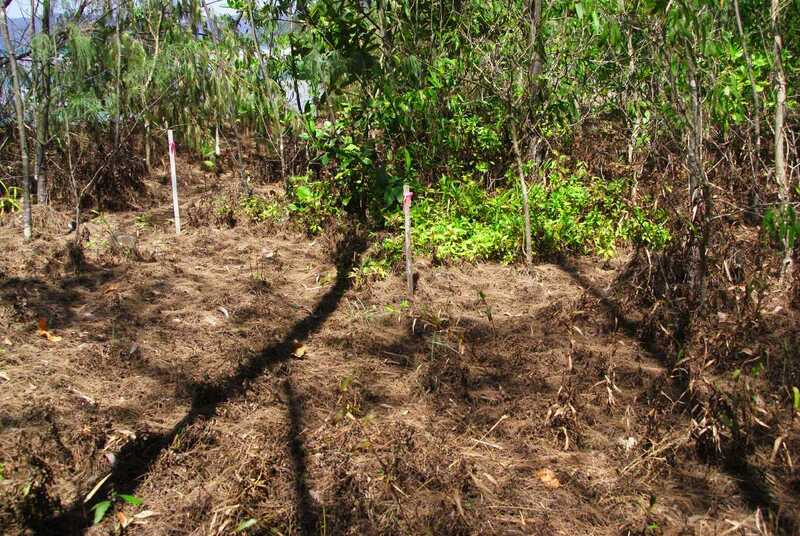 In this dioecious species, female and male trees initiated their maximal fig crops at different times and flowering was to some extent synchronized within sexes. Fig production in the female (seed-producing) trees was typically confined to the wet season. Male (wasp-producing) trees were less synchronized than female trees but reached a peak level of fig production in the months prior to the onset of female fig production. Male trees were also more likely to produce figs continually. Asynchrony among male fig crops during the dry season could maintain the pollinator population under adverse conditions through within- and among-tree wasp transfers. Now, that was quite a while ago... With AGW we are seeing the pattern seriously starting to fray, with figs now showing numerous fruiting episodes instead of the fairly well-defined pattern we found 30 years ago. We need someone to collate the data we have accumulated since so we can publish it! It is one of the few long-time phenological studies. Home to the southern cassowary, one of the world's largest flightless birds, crocodiles, fruit bats and a host of other animals and plants, the Daintree lowlands have become one of Australia's most beautiful icons. 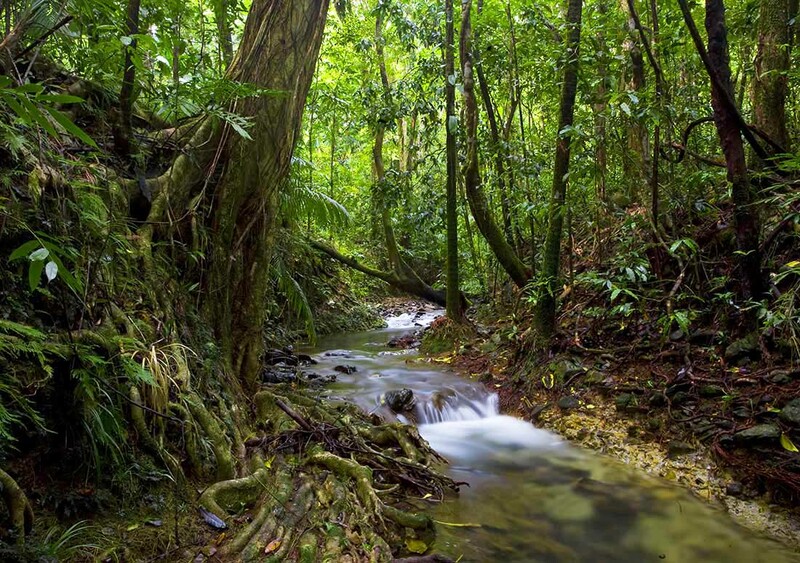 With an unbroken history of over 100 million years, the tropical rainforests of the Daintree lowlands are, miraculously, still surviving and inspiring people such as Robin. However their future is, like so much of the world's remaining rainforests, dire. The Daintree lowlands, for that is the really unique and unprotected area, is under immediate threat from, not logging, but piecemeal development. For, you see, the Daintree has had a long history of attempts at human settlement since the beginnings of the 1900s. After the Great Depression, settlers were encouraged to go there as leasehold farmers, to "fill the north, clear the forests and set up farms. Luckily, this ancient forest proved tougher than the farmers, and their leaseholds were bought out by an enterprising local real estate agent, and freeholded, and subdivided into over 1100 two to four acre blocks with the blessing of the then Queensland Government, in the late 1970's.